 MOBILE, Ala. – University of Mobile was named a National Association of Intercollegiate Athletics (NAIA) Five-Star Institution for the fourth consecutive school year, as announced Thursday morning. After earning Bronze-Star honors the past two school years, the Rams elevated themselves to one of the 76 Silver-Star recipients in 2016-17. The level at which institutions are recognized is based off of the Champions of Character Scorecard. Institutions can be recognized as Champions of Character Five-Star Institutions at three different levels: Gold (90-100 points), Silver (75-89 points) and Bronze (60-74 points). The Champions of Character Scorecard measures growth in training, promotion, conduct in competition and commitment in five key areas with a possibility of 100 points. New to the Scorecard this year was the opportunity to offset an ejection for fighting, profanity or dissent with a teachable moment. The NAIA Champions of Character program focuses on five core values: integrity, respect, responsibility, sportsmanship and servant leadership. The program works to instill these values through programs for student-athletes and professional development for coaches and athletic staff. Alec Martinez is University of Mobile's sports information director. He is a graduate of University of Texas-Permian Basin. He comes to Mobile after serving as the Athletic Communications Intern at Loyola University New Orleans. He is an avid fan of the Dallas Cowboys, Texas Rangers, Dallas Mavericks, and the Dallas Stars. He has three brothers, three nephews, and two nieces who mean the world to him. [5:26] This was the original: Alec joins Mobile after serving as the Athletic Communications Intern at Loyola University New Orleans. At Loyola, Alec assisted with the creation and implementation of a brand new athletics website. His other major roles consisted of covering men’s basketball, men’s and women’s tennis, and baseball. His live broadcast of baseball games, accompanied by the Wolf Pack’s Athletic Communication Director Rob Christe, was a highlight of his time at Loyola and helped drastically increase fan participation on social media. Prior to his time in New Orleans, he worked for the Midland RockHounds, the Oakland A’s Double-A Affiliate, and Sockers FC, a Premier Development League soccer team under the same ownership, for three seasons as he finished his degree at the University of Texas- Permian Basin. He earned his bachelors of arts in communication with a minor in history in May of 2015. Martinez began his career with the RockHounds as an intern in media relations and game entertainment, but earned promotion each season until eventually being named Assistant Director of Communications while also taking on a large role in the sales department. Alec hails from Midlothian, Texas where he lived for 18 years until he moved to college. He was heavily involved in his church, First Baptist Midlothian, his school, and his community while living in the small suburb of Dallas. His parents have served the Midlothian Soccer Association in variety of ways for over 20 years, and Alec coached youth soccer during his junior and senior years of high school. He also was a two-year starter for the varsity football team, and was named captain by his teammates his senior season, while also competing as the starting goalkeeper his senior year on the school’s very successful soccer team. He is an avid fan of the Dallas Cowboys, Texas Rangers, Dallas Mavericks, and the Dallas Stars. He has three brothers, three nephews, and two nieces who mean the world to him.